Making your employees more effective and increasing their productivity is a key challenge for all businesses – “Giving them access to unified communications and collaboration tools is a great way to resolve this”. But identifying the right solutions then delivering seamless, consistent user experience is still a complex challenge. You can integrate new technologies into your existing setup, but this fragmented approach can create management headaches and a poor user experience. Upgrading to a more modern, feature-rich UC platform will mean a substantial up-front investment and pressure to demonstrate clear ROI. “It’s not only about how things work, but how they work together”. Unified Communications as a Service from Lgorithm Solutions Lgorithm offer a suite of hosted/on premise voice and unified communications services. Each solution is tailored to meet the needs of your people, industry vertical and infrastructure – helping you to become more lean, faster, innovative and competitive. You can select the best services from a variety of solutions, delivered as a single, integrated service from one expert provider. And it’s completely flexible. You can evolve at your own pace; easily adding new services, modules to meet your changing needs. Your people are increasingly tech-savvy – the likes of presence, IM and video calls are now all second nature to them in their personal lives. Used properly, UC tools like these can make enterprise communications faster, more collaborative and more effective. Unified communications (UC) has long since moved on from being an industry buzz word to being a way of life. You must have systems that tell you the best way to get in contact with someone, and then give you a range of communications options – by video, by phone, by IM, email – to do so. Then this all needs to be integrated, so that you can easily respond directly from an email to a phone or conference call, or share screens on the fly to improve collaboration. And this must be all delivered seamlessly and with a consistent user experience! We’re experts in helping our customers to achieve consistent, seamless communications across complex technology environments, which often include services from multiple vendors. And if provided as a managed service from us, you won’t even have to deal with the vendors at all if you don’t want to. By improving communications and collaboration, your organization can move faster, profitable and efficiently than your competitors. 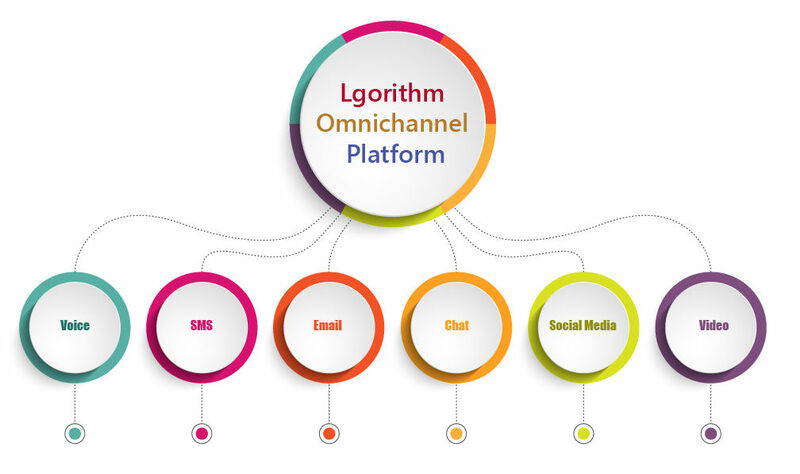 A unified interface will be provided from where any interaction with the customer (both incoming and outgoing) for any channel of delivery such as Voice, Email, SMS and Fax will be managed. A single unified interface will be provided through our Ticket Management System that will provide a complete snapshot of past interactions across various channels. All Companies wants to have the right resources in the right places at the right times, handling each customer interaction and work item in the most efficient manner. A WFM tool cancan provide cross-channel insights for more accurate forecasting and scheduling of call center and contact center agents. A defined strategy ensures that agents are skilled at handling each particular type of interaction (voice, email, chat, web, etc.) so that your organization can provide the best possible experiences for your customers, each and every time. Multi-channel contact center support for providing an excellent service. We understand the global dynamics of todays’ business and hence we have designed our solution compatible with almost all the major languages to offer ease of use to your team. © Copyright 2018 Lgorithm Solutions | All Rights Reserved. By continuing to browse this site you are agreeing to our use, you may opt-out by clicking on reject button.